I had a tough time choosing the best one to put here. Finally, settled on the one you see above — here is an underwater scene with little fishes floating around a mysterious little staircase. Okay, now before I get too carried away, lemme tell you what this is all about. The one you see above is a part of the Mosaic Pools Optical Illusion series. Believe it or not, the artist has used tiny tiles of varied colors to create these designs. I really can’t make out how this 3D effect has been achieved with such excellence! 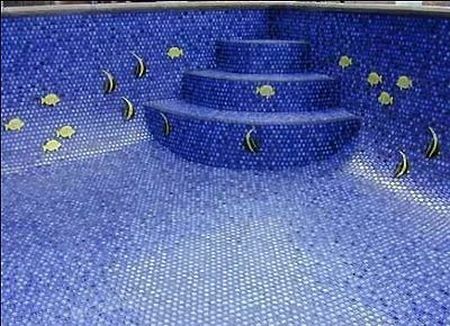 Anyway, the speciality of the series is that all the designs have dealt with water, specially pools. Do take a look at the other designs too and don’t forget to lemme know which one you liked the best! ← It's black, it's treasure, it's a clock!